Hey guys! I think every lady gets to a point when she knows what interests her. 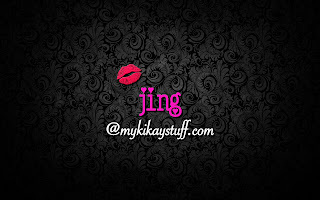 In my case, I've been loving bags since college and I have collected a few fine ones in the recent years when I finally learned how to take care of them. Aside from being an accessory, it's a known fact that bags are essential to everyone. You wouldn't get anywhere without one right? 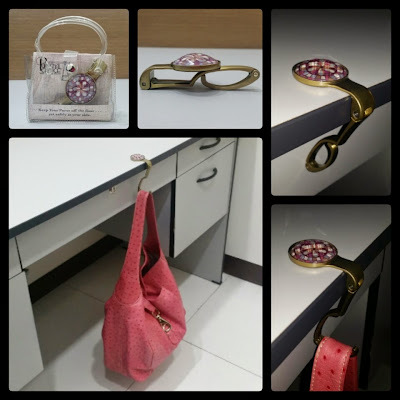 Where else will you keep your precious gadgets, kikay stuff essentials, work materials and everything else? Hence, we should keep our bags in tip top shape and start with learning how to take care of them while in use. 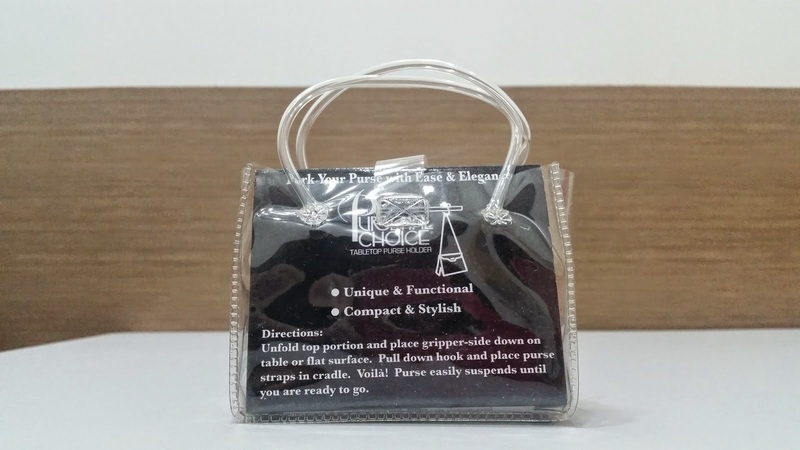 In comes a very simple yet helpful tool for all your bags, the Pursenal Choice tabletop purse holder. 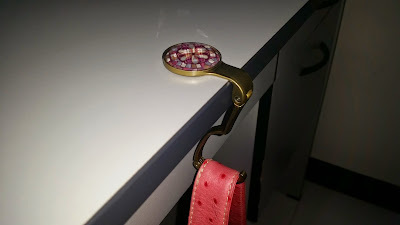 I think I've been gifted with a bag hook in the past but it didn't appeal to me as much so I stashed it away. A few weeks ago, while snooping around True Value, this transparent purse-like container caught my attention. Inside is a purse holder similar to a bag hook but looks more sturdy and chic. They come in different designs and this mosaic flower pattern made me want to buy one so I did. This doesn't look like the usual bag hook that I'm familiar with so I had to test it before plunging in and purchase. I took it out and tried it on my bag at a nearby table and I instantly fell for it. Underneath the purse holder, you will notice a rubberized portion that actually anchors this tool in place. 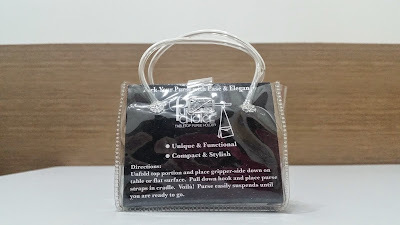 I've tried using it on several different tables made of wood, tiles, even marble and it did a great job of staying in place hence your bag won't be moving around or lose its grip. 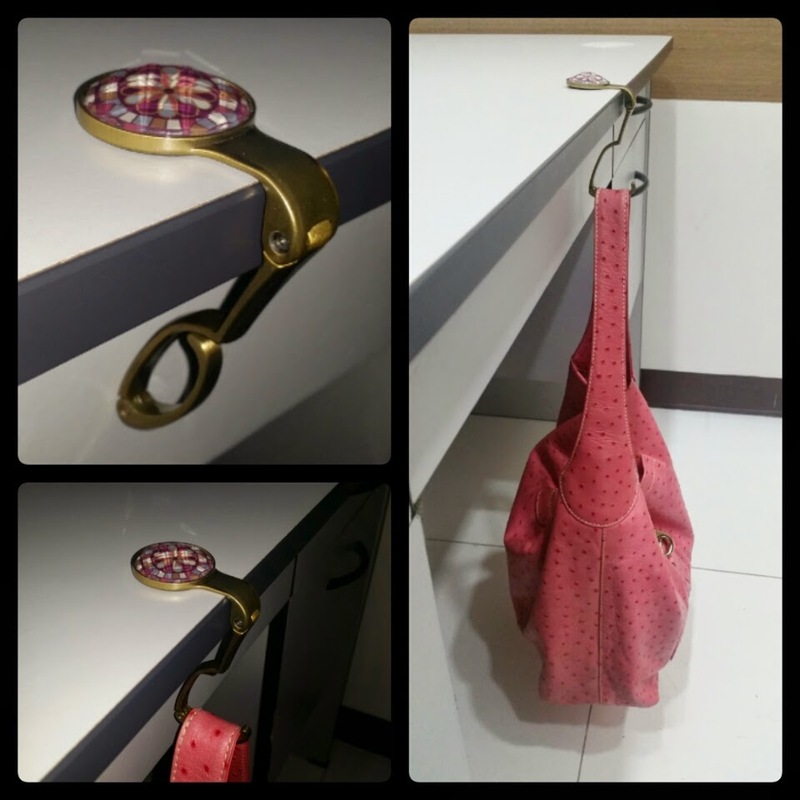 The loose arm opens up into a hook which supports your bag handle. I like that it's thick and wide enough to support any bag size. 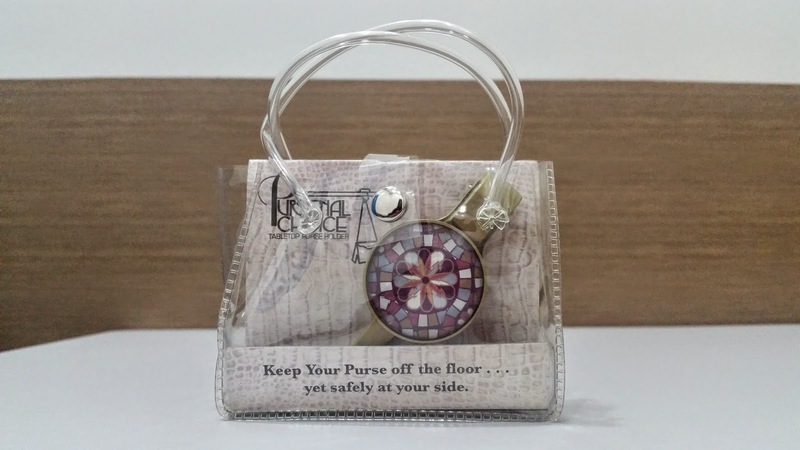 The hook is smoothly coated so you won't have to worry about scratching your bag. You can use this tool to hang your bag as long as you have a flat surface to cling on to. 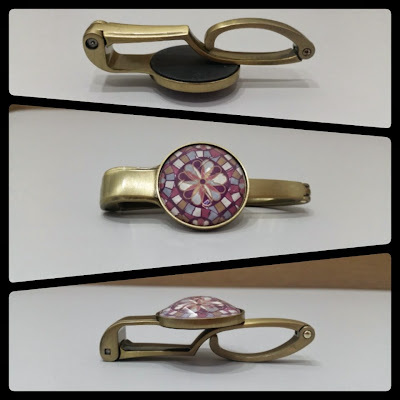 This is how it looks like when used. 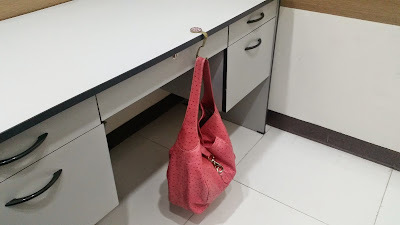 Although you might want to avoid hanging your purse for a long time especially when it's heavy to lessen wear and tear. 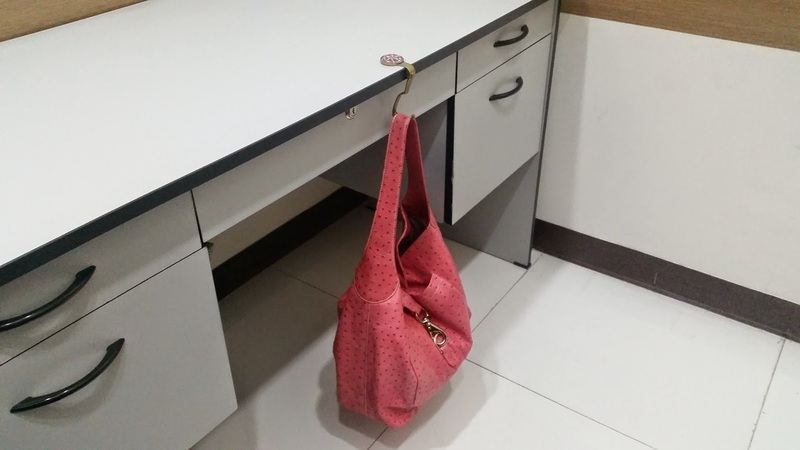 The original price is quite steep for just a purse holder at Php 495, but you might want to reconsider knowing it can keep your bags off the floor. Take advantage of their 20-30% off from selected items, slashing the price down to around Php 350. Not bad right? 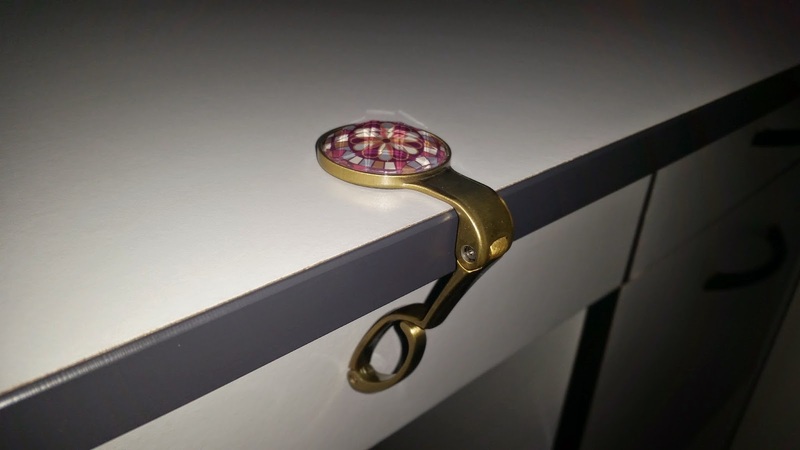 So that's it guys, I hope you find this post helpful in any way. If you have any questions, do leave them on the comments section and I'll get them answered right away. Thank you for visiting and have a great weekend!